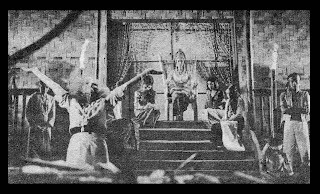 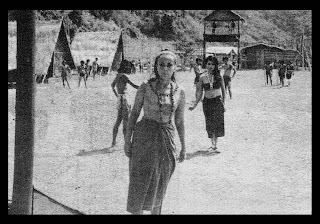 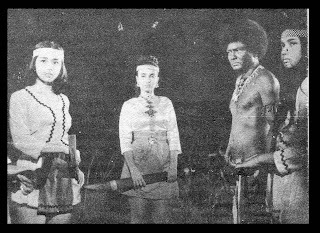 Amalia Fuentes as Urduja and Zaldy Zshornack as leader of the aeta tribe. 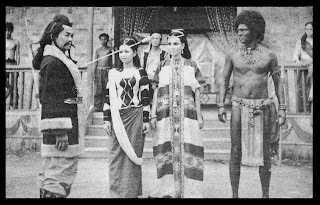 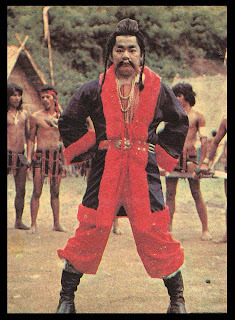 Vic Vargas (left) and Chiquito (right) as Limahong. 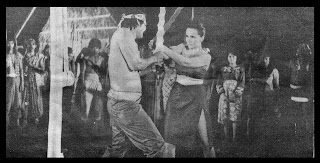 Chiquito as Limahong being tied to a wooden wheel. 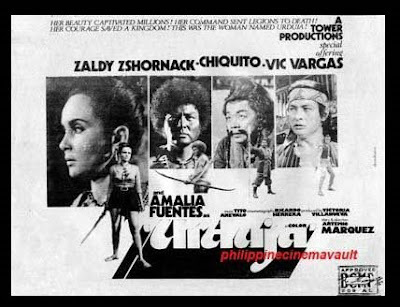 Alma Moreno (left) as one of the damas of Urduja (Amalia Fuentes). 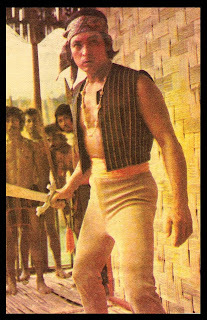 Thank you very much for posting this! 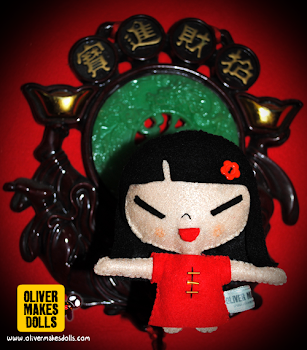 :D I didn't know Chiquito appeared as another Chinese character apart from his Mr Wong.